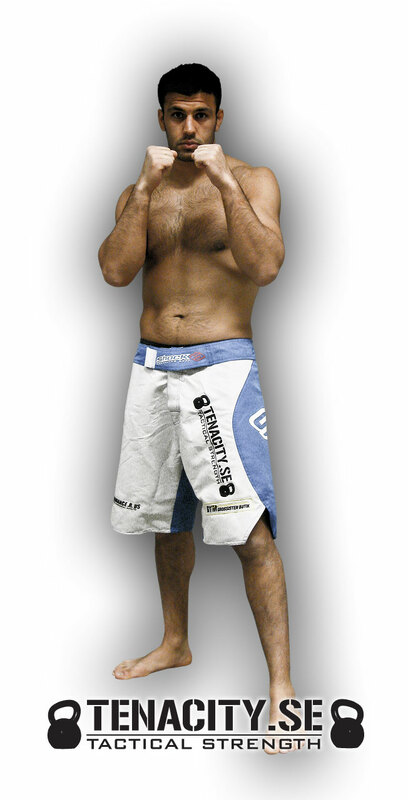 As of today (2009-03-17) Teancity – Tactical Strength is proudly sponsoring Besam Yousef with training and coaching to help him prepare for his fight at The Zone FC ‘Dynamite’ that will be held at Lisebergshallen in Gothenburg, Sweden on the 25th of April this year. Besam is a professional MMA fighter with a pro record of 2-0-0. I did the first session with Besam today and he’s really working hard to reach his goal. I’m really looking forward to see the progress of his training and to see the fight in the end. Kettlebell training adds an extra level to his training and will increase his over all physique, make him stronger, faster, and well prepared for the fight. The Zone FC 3 – Shockwave, Nov 8 2008. This entry was posted in Nyheter, Sponsring and tagged Besam Josef, coaching, mma, Sponsring, The Zone FC 'Dynamite'. Jag kommer komma i grym form inför matchen!